I was fortunate recently to have the opportunity to meet with Mike Schreiner, the leader of the Green Party of Ontario. I have written a report making the case for strict regulation of the textile recycling industry which I presented to him. Right now, municipalities each have different by-laws that deal with used clothing donations. For a company like Textile Waste Diversion Inc., operating in two provinces, that makes it especially confusing and difficult to manage. What’s worse, many municipalities currently have no restrictions on clothing donation businesses, which has made the industry attractive to some not-so-nice players. As a result, this industry has received plenty of media backlash and cynicism from consumers, some of it well-deserved. TWD Inc. is part of the waste diversion industry. We exist to divert waste away from landfills, and that’s a good thing. But a few players that pretend to be charitable when they aren’t, have people choosing landfills over used clothing donation bins on moral grounds. 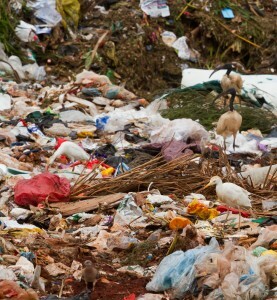 When a landfill is the moral choice…umm…we have a problem! Often, clothing donation bins are dumped on private and government properties without permission or apology with no identification or contact information. Rival companies have been known to burn competing bins putting the general public at risk. It’s annoying, sometimes dangerous and just plain tacky. TWD’s president literally treats each staff member like his own kids. He has well-established employee development and protection processes at his own cost. He enforces fair practices and a non-confrontational approach to competitors for the safety of his staff. He is a philanthropist because it’s his nature to be. Everything he does is out of love for his staff and community. Industry regulation is expensive and a TWD, we don’t mind. Regulation of our industry will secure long term stability and positive growth. It will ensure that we grow in an integral manner that protects consumers and workers, while energizing the local economy. That kind of saturated generalized ideology is what has been holding this industry back. Right now, the unregulated textile recycling industry is plagued with the very things this person fears industry regulation would create. You’ve got it backwards Padawan! Capitalist interest? There are pirates in this business with vacation homes all over North America. Lack of regulation has allowed certain people to get filthy rich from the well meaning donations from an unprotected general public. These are the same unethical business people that exploit workers by calling them peasants, firing people at will without cause, burn competing bins, slander honest competitors, and dump in landfills whatever is not profitable. Industry regulation would render this type of business person obsolete in a heartbeat. Industry regulation would force the unethical businesess in the textile recycling industry to step up or step out. It would force companies in our industry to follow labour laws, and it would force companies to insure bins, thereby protecting the public. It would enforce charitable transparency – making sure donators know EXACTLY what they are supporting when donating their old clothes. How can that be a bad thing? The fact that have different by-laws governing the textile recycling industry, with many not having any regulation at all, makes it very confusing for businesses to set up standard operating procedures. Provincial regulation will ensure consistency across the board and would empower inspectors and by-law officers to impose large enough fines that would make a would-be jerk think twice. Government regulations exist to protect workers, consumers, charities and honest family businesses that employ members of their local communities. These regulations are not out to hurt the little guy. They exist to protect the honest little guy from the bully guy who’s so rich he thinks he’s above the rules. I have met many business owners in this industry with integrity, and they are celebrating the proposed regulations. The ones I know that hate it, operate in a very unCanadian fashion, and I will be glad to see them rendered obsolete.